People used to talk about having a nest egg for retirement. Today, that egg needs to be bigger than your standard Grade A Large. Here are a few tips to increase the size of your retirement savings from an egg laid by a chicken to one laid by an ostrich. It takes money to make money. The more you put into your IRA or other retirement account, the more you will have when you need it. Try putting an extra $10 a month into your IRA. Increase your contributions to your 401(k) account by a percentage or two. This way you take advantage of the percentage of contribution your employer may be matching. 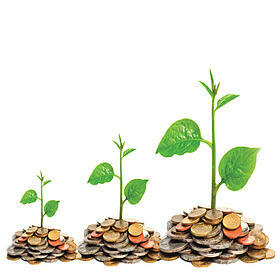 Try to make the maximum contribution to your self-directed IRA every year. For individuals with a Traditional IRA or Roth IRA, the 2014 contribution maximums are $5,500 for people 49 or younger; $6,500 for people age 50 and older. Read the complete list of contribution limits. Consider making a spousal contribution if you are married. Or open an employer sponsored plan if you own a business. Rather than putting all of your eggs in one basket, experts agree that a diverse portfolio is the best strategy. It offers protection against downturns and the potential for growth. Most IRAs administered by banks and brokerages limit your choices to a small universe of stocks, bonds, and mutual funds (which own stocks and bonds). A self-directed IRA gives you the freedom to have a Real Estate IRA or Precious Metals IRA. 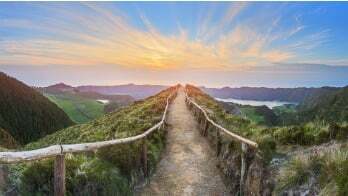 With a self-directed IRA, you choose what to invest in. Find out how to research administrators how to research administrators that allow these types of investments. Changing your investment strategy in an IRA administered by a bank or a brokerage house can take time. The paperwork you submit to move from one fund to another may not get processed in time to avoid that market swing you feared. Or you may be limited to specific windows during which you can make investment changes. Self-directed IRAs are the only retirement accounts that allow you the freedom to invest in alternative investments whenever you choose. The Entrust Group’s myDirection Card makes it even easier to make faster investment transactions, invest online, and control your IRA assets with ease and convenience. Ready to learn more about these three strategies? Listen to our February, 2015 Webinar, 3 Ways to Grow Your IRA, featuring Munzer Ghosheh, CISP, one of The Entrust Group’s experts.